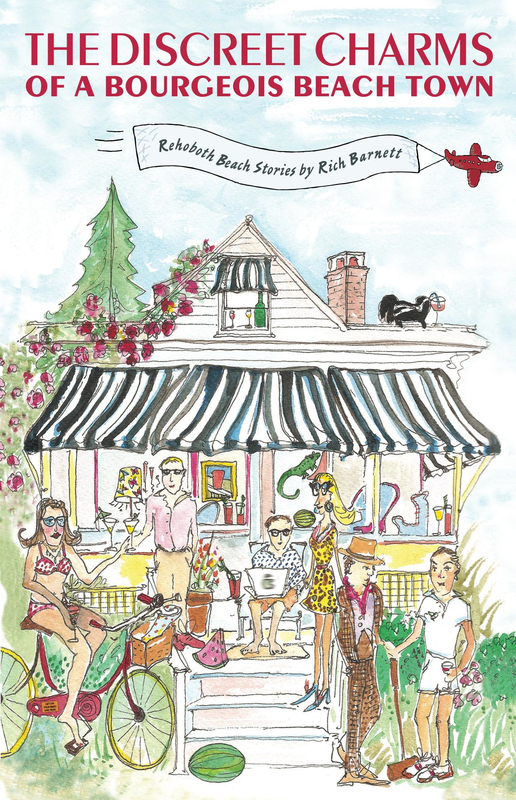 Rich Barnett’s first book brings together 40 of his favorite “Rehoboth-centric” columns written for the magazine LETTERS From Camp Rehoboth over the past six years. Collectively, they provide a unique look at life in this underrated, occasionally eccentric, but always charming beach town. A flippant and flouncy flight of fancy — Nick Brandi, Book Smart: The Discreet Charms of a Bourgeois Beach Town, Coastal Style Magazine (September-October 2012). This book, full of gifts and surprises, reminded me anew of what drew me to the Delaware shore over a decade ago and what keeps me here still. – Maribeth Fisher, author of The Life You Longed For; founder, Rehoboth Beach Writer’s Guild (June 2012). Rich Barnett’s stories about Rehoboth Beach are simply intoxicating. Sip a cool beverage and savor! — Fay Jacobs, author of For Frying Out Loud: Rehoboth Beach Diaries (June 2012). If you’re new to Rehoboth, this is the first book you should buy. If you think you know this town, you’ll see it in a whole new light after Rich Barnett takes you on his witty tour de Rehoboth. – Bill and Susan Wade, authors of Crab Decks and Tiki Bars of the Chesapeake Bay (June 2012). Great party, great book. We bought two copies at the party and gave one to some friends whom are currently visiting us in RB. They found it fascinating. Appreciate the kind words. Just got a great feature/review in the News Journal and also one in the DC Current newspapers that I’m going to post soon. The link to the News Journal one is up.